1st Choice Flooring specializes in laminate and carpet installations, repairs and sales, with a complete emphasis on understanding the needs of our clients, as well as their expectations. We have the proper tools and expertise to tackle any laminate or carpet job, leaving behind only the finest results, while saving our customers thousands of dollars in unnecessary costs! The luxury that quality carpeting or laminate flooring in Albuquerque, NM can bring into your home makes them truly worth the investment. Unfortunately, they’re an investment that’s constantly going to be under duress, since we walk on these surfaces each and every day. To ensure your investment in these great flooring materials is lasting and contributing to your quality of life, trust 1st Choice Flooring for any and all services you might need. We’re known for providing exceptional sales, service and installation of both carpeting and laminate flooring, and our industry experience is unsurpassed! Understanding our clients’ highest expectations and meeting them to their fullest. Sharing our knowledge and experience so that clients feel empowered to make informed choices about the products and services they need/want. Delivering an installation of exceptional quality that will stand the test of time and weather wear and tear. Ensuring a positive client experience, with the goal of earning your trust, as well as any future business. 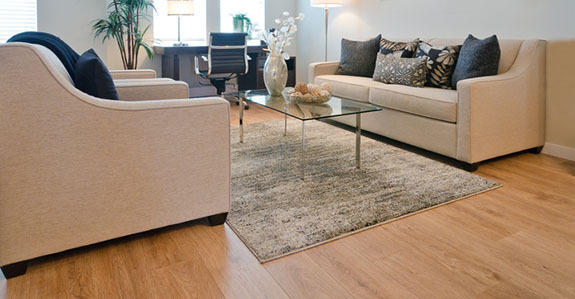 Leaving you feeling satisfied in your investment, as well as with the service you’ve received from 1st Choice Flooring! Whether you need restorative services for your carpeting or the time has come to fully replace your laminate flooring, trust the experts who will get the job done right! Contact us for an estimate today.